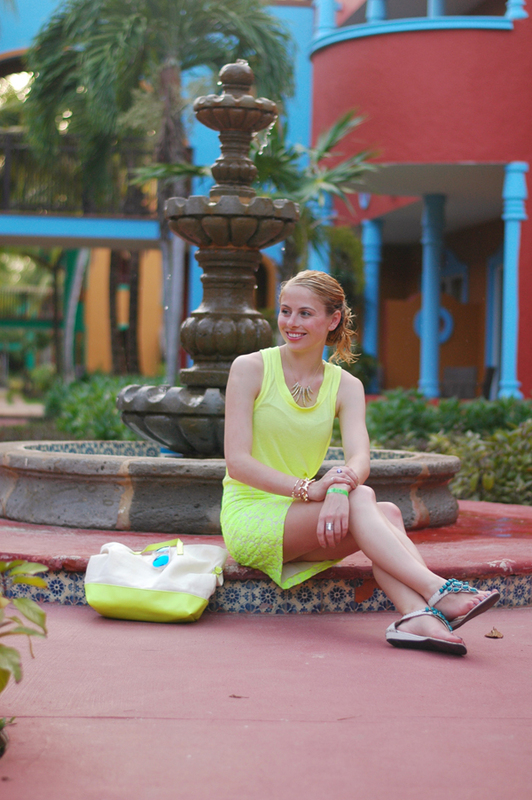 I've had my eye on this neon skirt from J. Crew for months and when I finally decided to pull the trigger, my size was sold out online! Luckily, I came across it-on sale, to boot-while out in Southampton a few weeks ago. I decided to take my neons to the next level for dinner in Mexico, where two of my table mates also showed up in fluorescents. We were, quite literally, glowing after dinner as we walked back over to the poolside bar. 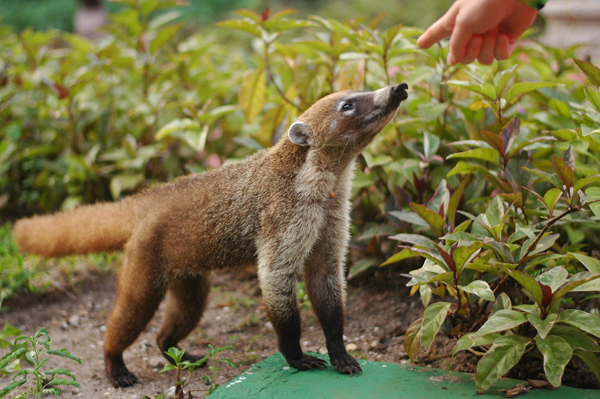 After we took photos and were walking over to dinner, this Coati (they're everywhere down there-and the babies are so cute!) was sniffing around in the grass for food. The first morning I saw them, several followed me down the path to breakfast and they love trying to get food from the hotel's guests (despite multiple signs saying "do not feed the animals"). This one came right up to my sister but snapped at her finger right after I took this picture-lesson learned! OMG I adore the color and texture of your skirt - such a great find. Hope you have a great weekend and thanks for stopping by Pursuit.